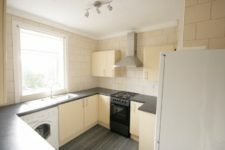 Homes for Good are proud to present this first floor renovated & spacious three bedroom property in the area of Gallowhill in Paisley. 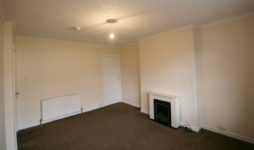 This property is unfurnished and ready for an immediate move in. 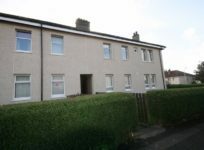 The three bedroom home, in a quiet residential area, would suit a family looking for spacious comfortable accommodation, with easy access to Paisley, and the M8. 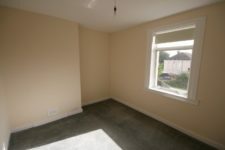 The property provides spacious, comfortable accommodation, modern fitted kitchen and bathroom and 3 good sized bedroom. There is also private parking space, and private garden area. The property benefits from double glazing and gas central heating. White goods are included. Please note, the in going tenant would be responsible for maintaining the garden area. 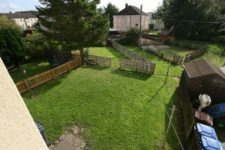 If the in going tenant is not able to maintain the garden, then the rent would increase by £25 per month to cover the cost of a gardener. Applicants in receipt of housing benefit are welcome to apply. 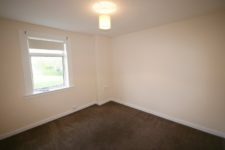 Please note that this is not a HMO property, so applicants with three or more unrelated residents cannot be accepted. EPC rating: D. Landlord Registration Number: 400336/350/15071. Letting Agent Registration Number: LARN1902070.